A guest house in North Fakarava, offering a very beautiful environment (garden, beach, lagoon) and charming and spacious bungalows. For a comfortable stay, in a recent pension and very well located, offering large bungalows perfectly equipped. 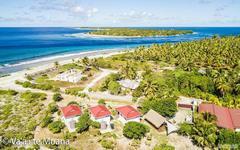 A guest house in Fakarava North, ideal for couples or families. A structure offering the services of a hotel and the conviviality of a guesthouse. 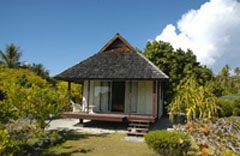 Romantic stays in unique bungalows in a remote property offering beautiful views.